In this our 10th Anniversary year we will again be holding a Charity Lunch and Auction as part of our fundraising at Sandown Park Racecourse in Esher. Over the last few seasons, this flat racing event has been so successful for us that we have decided to stick with a winning format: Champagne Reception followed by 3-course Silver Service lunch in the private Solario Suite with panoramic views over the racecourse. Lunch will be followed by a live Charity Auction with a great selection of auction items. 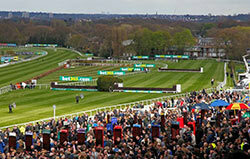 Have you card marked for an exciting programme of racing, with afternoon tea included. Please put this date in your diary. Make sure your friends put this date in their diaries and bring them along, to share a great day out. Would you like to contribute to our Sandown planning or perhaps join organising team? If so please call Julia on 01483 428961, if you would like to join the planning committee. Here are some more Saturday dates for your diary for this summer, with events at Cranleigh Golf Club and Goodwood Racecourse, where you can support The Racehorse Sanctuary. These include Saturday 11 June 2106, when fundraising for the Sanctuary will be the charity focus of the Cranleigh Golf Club Captain’s Dinner Dance. There are two opportunities on Saturday 30 July 2016. 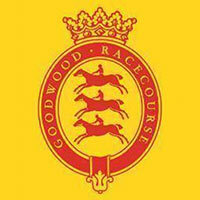 We would welcome volunteers to help us with a bucket collection in aid of the Sanctuary at Glorious Goodwood - please call Julia on 01483 428961. That Saturday Boris Johnson is again opening the streets of Central London for the Prudential RideLondon FreeCycle; we would love you to get involved: open a JustGiving page and encourage your friends to support you raising money for our horses by taking part in this iconic and fun event – just go ahead and do it! Then back to Cranleigh Golf Club the following Saturday 6 August 2016 for our 10th Anniversary Summer Garden Party. More information on this event in the next newsletter, but meanwhile keep an eye on our website for details. Earlier this month we were joined at Stilemans by our latest recruit, 5-year old Sandfield, looking a little anxious and showing all the signs of missing a best friend. 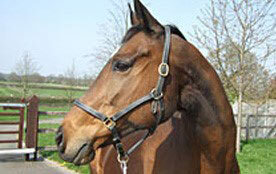 This bay gelding is by Kodiac out of a Suave Dancer mare called Red Rabbit. Known at home as Henry, Henry did not beat many home in a short racing career with North Yorkshire-based trainer Paul Midgley, and does not appear subsequently to have shown much aptitude for jumping. However, Henry comes to us apparently sound and is settling in well. It is too early to tell, what he may be good at, but Graham will find that out! If nothing of a competitive nature beckons, all the indications are that this friendly fellow will make someone a very nice riding horse. There was obviously something very wrong when our poster boy Olympic Express, was off found to be off his food. Fortunately before he wasted away, the problem was identified. Poor Olly had previously lost a molar from gum disease and was again suffering from toothache, making it so painful for him to eat. 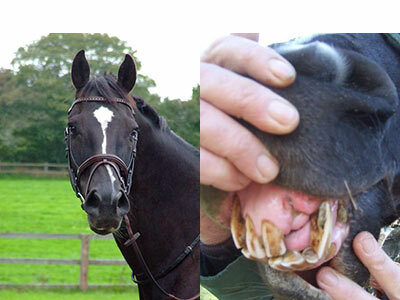 Holly from Liphook Equine Hospital was able to sort him out, by removing another molar. As Graham reports, Olly cannot whistle at the girls any more, but at least he is comfortable and is able to tuck into his food again. Our developing programme of fostering out horses is proving invaluable, where individual support is required, especially as we face a busy time at Stilemans this summer as a programme of maintenance is carried out on the estate. Young Blossom, a three-year old bay filly by Archipenko out of our very own Jasmine Breeze, suffered uneven development of her knees at a critical stage of her development. Specialist treatment sorted out one affected front leg, but left the other sufficiently turned out, that it was decided it was not safe for her to go into training, rather that she should be turned out to mature physically for at least a further 12 -18 months before any decision should be made about what she would be capable of, in the future. A lovely lady called Sarah has agreed to foster Blossom at a farm recorded in the Domesday Book near Scarborough, with her elderly retired thoroughbred Pele, seen here checking out Blossom on her arrival, and the more mettlesome gelding Rupert, who is six years old. 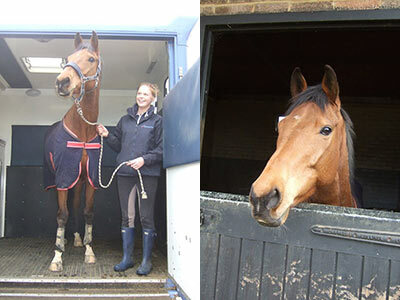 Blossom had an adventurous trip North from her former home at Grove Farm Stud near Newmarket, but Sarah reports that she is settling in well with the boys may soon have her own blog! And the successful story of Wavertree Warrior’s rehabilitation from very serious problems with his feet continues, to the delight and often surprise of the professions involved in his treatment. Here he is all rugged up ready to travel to Karen’s equine establishment in a quiet rural spot near Horsham. Karen has agreed to foster Warrior, as she has suitable facilities and experience, but best of all can key an eye on him from her kitchen window. This horse has been cooped up for an inordinately long time and only taken out in-hand, to give his feet a chance to stabilise and strengthen. Now as a result of this fostering arrangement, he is at last able to enjoy the freedom of a horse-walker and a small paddock where he can be out on his own, without the risk of any disturbance. In a wonderful gesture to mark Gloria’s retirement, her work colleagues clubbed together to fund a year’s sponsorship of Ziggy, aka Zigaura, in Gloria’s name. 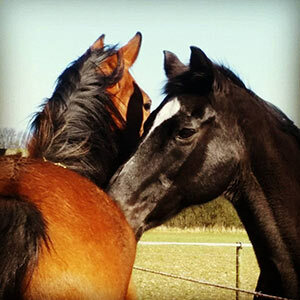 What a great idea: if you too are looking for a special gift for someone, who you know loves horses, why not secure them the sponsorship of one of the Sanctuary’s horses. Tickets to the Wildwood Rocks concert on Friday 16 September 2016 are already going fast, so if you want to secure yours; click here to order. The Racehorse Sanctuary is one of three charities, which will benefit from the funds raised as this rather special event, which has become a highlight of the Surrey musical scene. There is so much going on at Stilemans at the moment, on the estate and especially in the office now that Catherine has joined the team in her fundraising role, bringing an additional dimension to the efforts of Julia in organising the ambitious programme of events planned this summer for our 10th Anniversary. Despite not knowing quite what has hit him, Graham is not forgetting how much our Supporters Group members and those generous sponsors of our horses enjoy the opportunity to come to our Annual Open Day. A 2016 date for this invitation-only event will be announced soon.